We’re back today to feature yet another one of the amazing summer camps with whom we’re delighted to have formed a strong relationship. Laity Lodge Youth Camp is an awesome place for your soon-to-be-camper. Check it out to see how it might fit for y our family’s summer camp experience on today’s Blog post. Dive into the world of Laity Lodge! 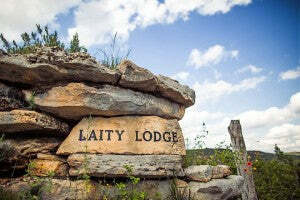 Found in Hill Country’s most fantastic canyon with the Frio River, Laity Lodge is known for its excellent hospitality on their exceptional 1900-acre ranch, 13 miles north of Leakey, Texas. Beauty surrounds in this natural environment that’s ripe for adventure, games, activities, and the kind of serenity that you can only experience at this level of remote seclusion. 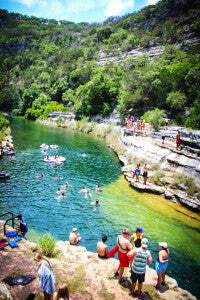 Have fun in the Frio River kayaking, snorkeling, swimming, and more at Laity Lodge’s awesome waterfront. Go mountain biking, try the zip line, rock climb, and sharpen your arts and crafts skills. Laity Lodge offers tons of other activities like shooting sports, field sports, sword-fighting for the boys, nail-painting for the girls, and so much more than just that. On top of these traditional activities, campers have lots of wild times with their cabin mates or “home groups”. They engage in friendly fights as in organized food fights, shaving cream fights, water balloon fights, and a number of other crazy battles. Quality time together brings cabin mates close together and helps create unbreakable bonds between campers. Laity Lodge has been showing summer campers the time of their lives for 56 years and they continue to do an amazing job every summer season. You can look into this amazing camp even closer on their website sometime. Good luck on your summer camp search for the right camp for your camper and, as always, thanks for reading, Camp Families!